Tultepec, Mexico is known for just one thing: fireworks. 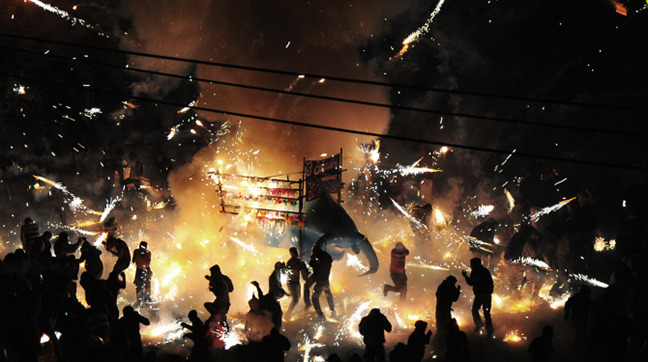 Each year the town hosts an annual pyrotechnic extravaganza, which is captured here in all its exultant, unbridled and downright dangerous glory. From the hand-making of the fireworks and construction of the festival’s towering centrepieces to the dazzling late night finale as thousands of revellers take to the streets, director Viktor Jakovleski transports us into the heart of the action. Visually inventive and truly spectacular, Brimstone & Glory is a glorious, big screen tour-de-force.